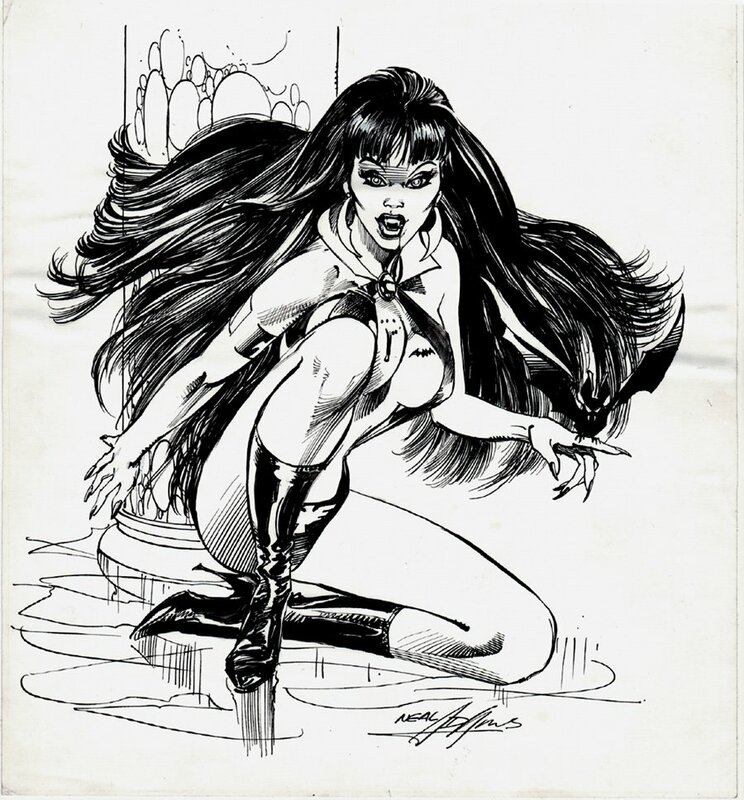 Click Here To See Published Vampirella Pinup Page 89! 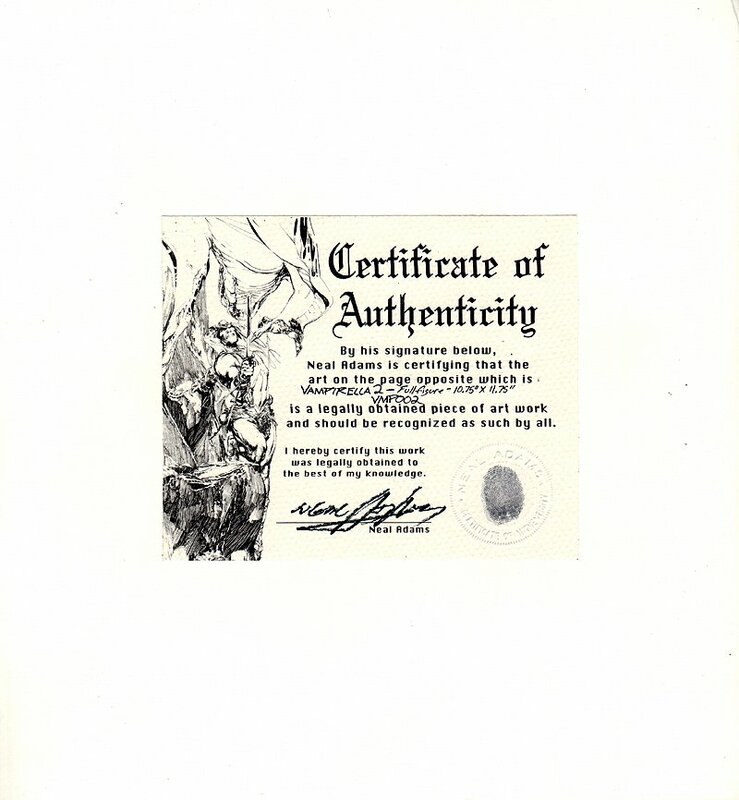 Click Here To See Neal Adams Certificate Of Authenticity On Back Of Art Board.! 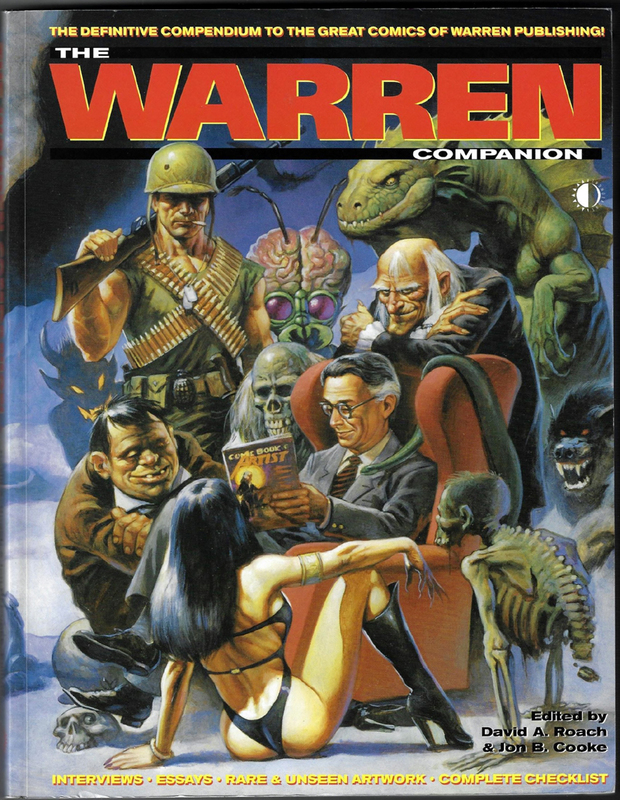 Click Here To See Warren Companion Book! Check out this very nice PUBLISHED Pinup, which was penciled and inked by the great NEAL ADAMS! This Pinup features a nice large image of Vampirella kneeling down in front of a stone pillar! This art was published on page 89 from the WARREN COMPANION. Art is drawn on 10.75 by 12 inch art board, and is signed at the bottom! There is also a Certificate Of Authenticity With Neal Adams signature and his thumb print, which can be seen in the extra red link above. Neal Adams mounted this art onto his COA board so there is a very slight waviness to the art from his mounting process. Just a neat piece! ALL art on our website (including this one) are able to be purchased with VERY fair time payments, and trades are always considered towards "ANY" art on our website! Just send us an email to mikeburkey@aol.com and we can try to work something out.